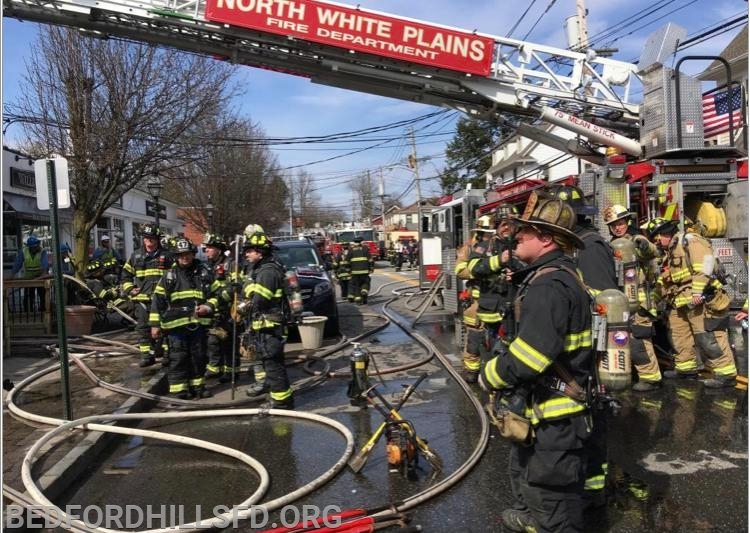 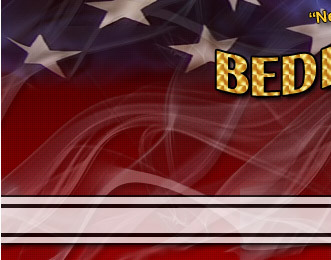 Bedford Hills FAS Team and Tanker were requested to the Armonk Fire District for a 2nd Alarm Structure Fire in the business district. 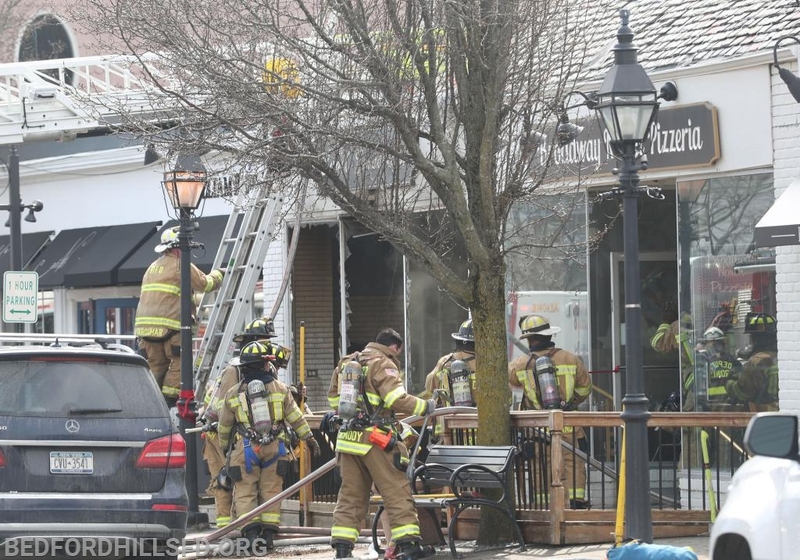 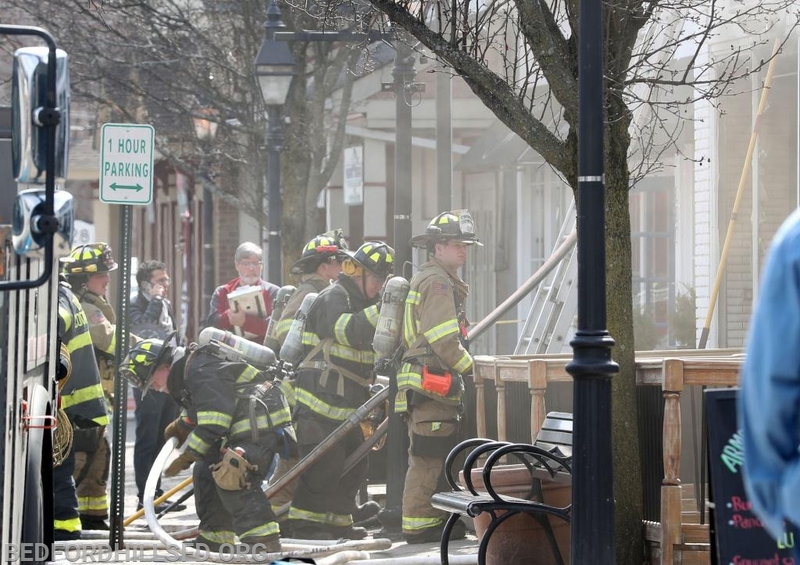 First alarm companies faced heavy smoke and fire from the Bagel Emporium. 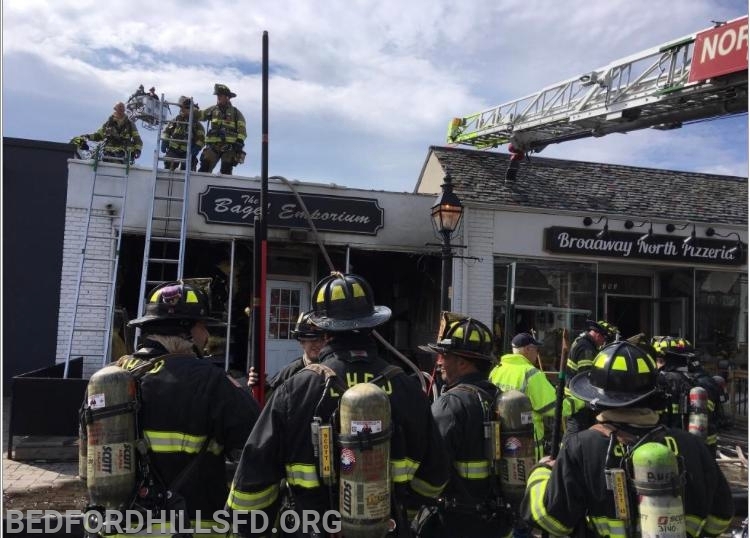 The main body of fire was contained to the Bagel Emporium, however with fire extending into Broadway Pizza (Exposure #4) a 2nd Alarm was transmitted. 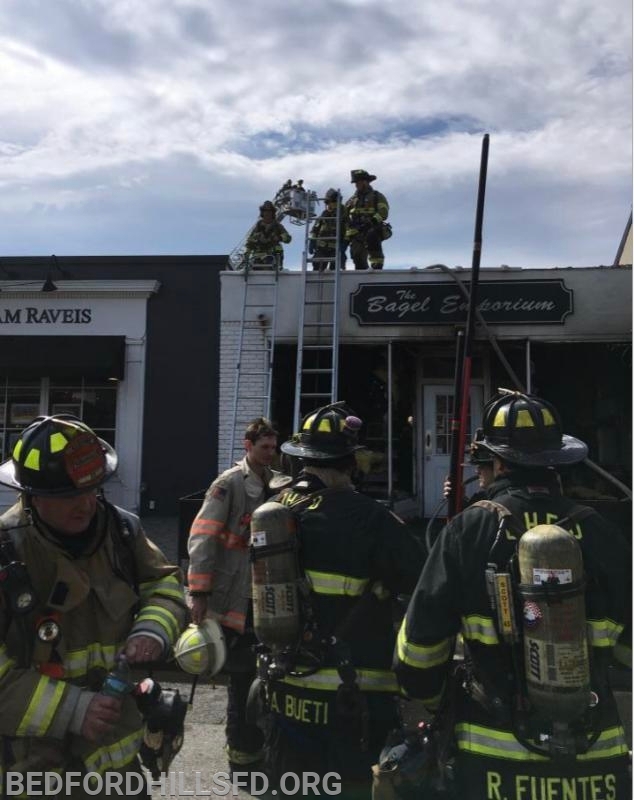 The Crew of Tower Ladder 57 and Tanker 5 were put to work, assisting on the roof and checking for additional hot spot in the original fire building. 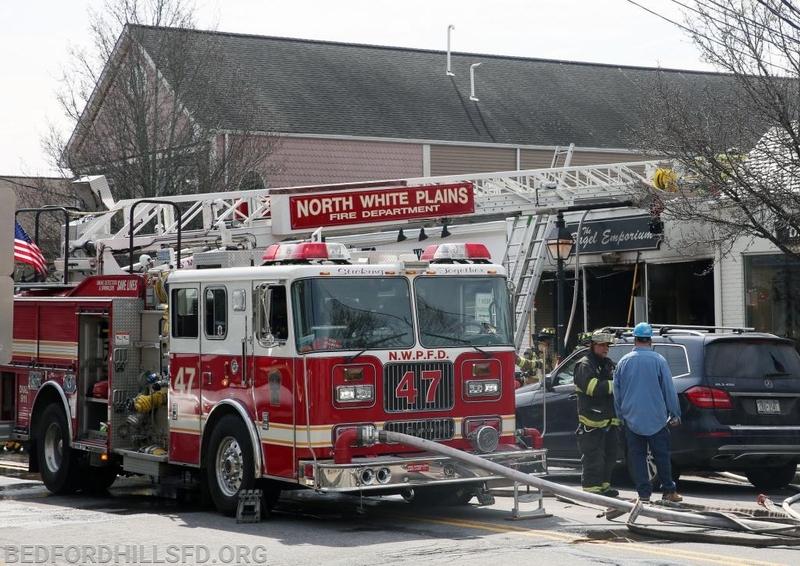 Tower Ladder 57's positive pressure fan was also used to ventilate the business adjacent to the fire building.